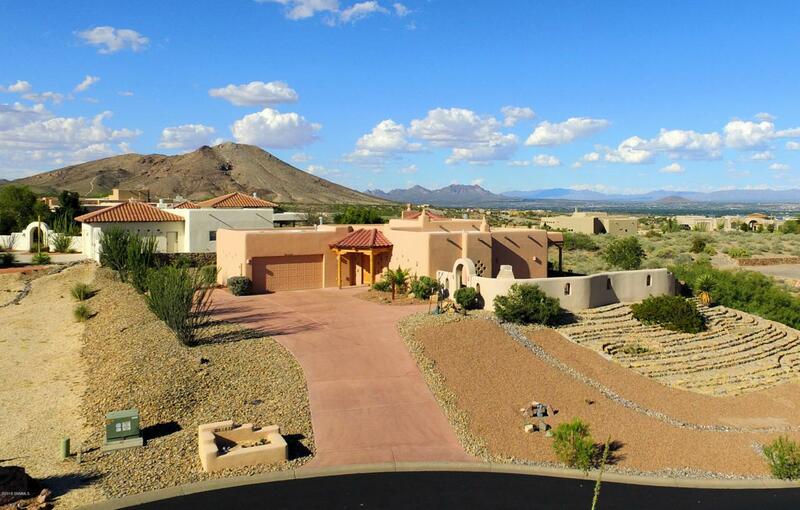 Perched upon a hilltop provides stunning views of the Organ Mountains & Picacho Peak in addition the elevation provides a sense of contentment, as opposed to those homes that deal w/flooding from water runoff. Located in one of the most sought after gated communities, Coronado Ridge of Picacho Hills. The long concrete driveway & very extensive rock work provides security against erosion. 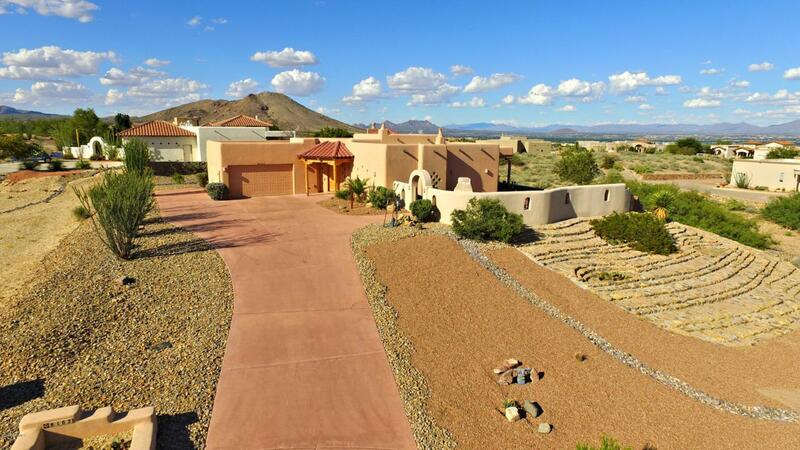 Decorative Southwestern details evoke the New Mexican culture such as the hand-hewn vigas w/wood ceilings in both living & family room, custom tile work in foyer, lighted nichos, wood corbels & three Kiva fireplaces on the property. Split bedroom floorplan, w/1 of the spare bedrooms perfect for in-law suite. Ceramic tile & speakers throughout the home. Kitchen has lots of custom cabinetry, tile counter tops, stainless steel appliances. 3 large sets of sliding glass doors & walls of windows provide hours of breathtaking views. Spacious courtyard w/fireplace & privacy wall is perfect for entertaining or room to add a pool.